Latkes along with other fried fritters served on Hanukkah signifies the miracle of the menorah oil burning for eight days and nights in the Jewish temple. 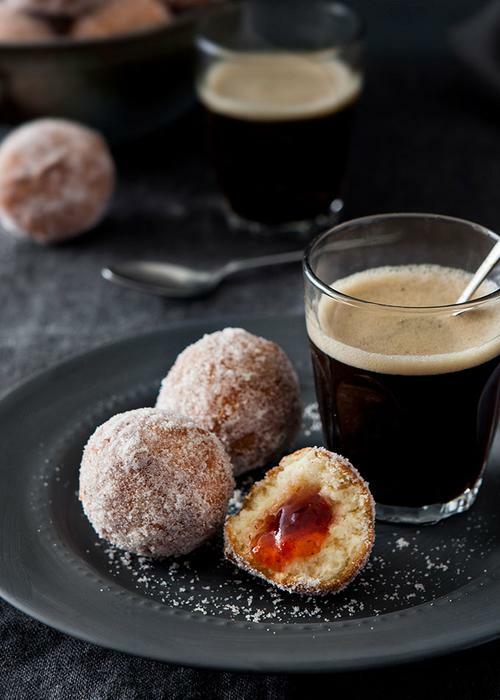 Whether you choose to commemorate the holiday with latkes, loukoumades, or doughnut holes, these amazing recipes will delight all eaters. Loukoumades are a a traditional Hanukkah treat for Jews in Greece, Spain and Turkey. Yeast dough is divided into small balls and fried before it is drizzled in honey syrup and dusted with cinnamon. You will need to make these by the handful because they are truly that good. Instant jelly doughnut holes are always a good thing. This yeast-free dough does not require any time to rise so it can be mixed and fried in one sitting. Stuff your favorite jam in the middle of the dough ball, fry until golden brown and roll in cinnamon and sugar - it is that easy! If you are looking to serve your friends and family something unique on Hanukkah, these butternut squash and apple latkes are dynamite. This winter inspired recipe combines grated apple and butternut squash with an array of warm spices and served with maple marscapone cheese and tart pomegranate seeds. These latkes can be served for breakfast, lunch, or even dessert. These delectable fried potato cakes are made from a combination of shredded potato, onion, eggs, and matzo meal. Some people prefer to use flour or breadcrumbs but personally, matzo meal has more significance in this recipe. You do not have to settle for just one kind of flavored latke when there are five to choose from. 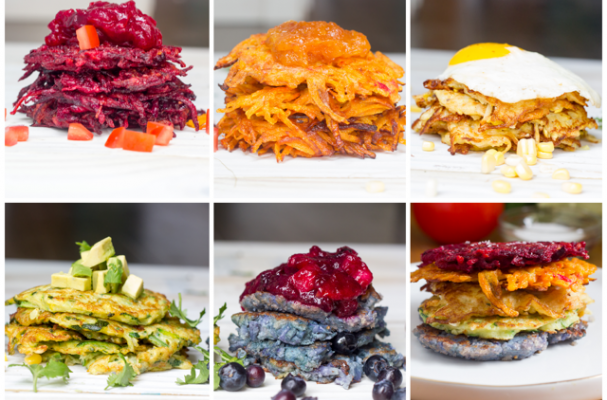 This assortment of rainbow latkes range from bright red beet and red onions to zucchini latkes and even purple cauliflower latkes. While the classic topping of applesauce and sour cream would be delicious on any of these, you can serve more interesting accouterments including blueberry applesauce, a fried egg, or chopped avocado.